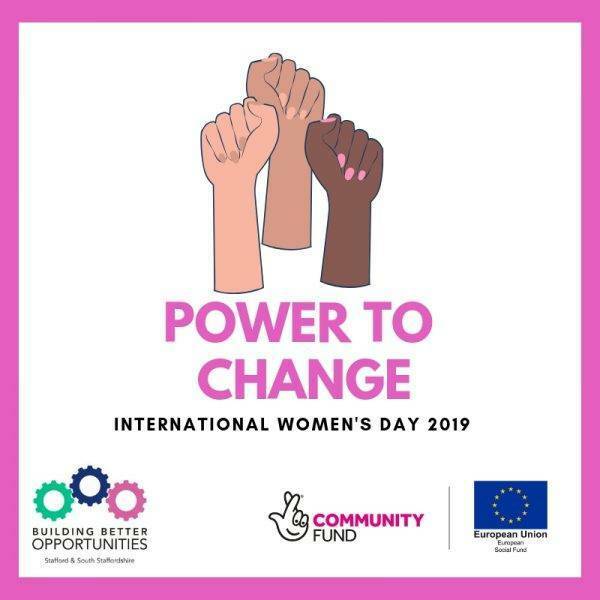 Power to Change is a 7 week programme taking starting on Tuesday 2nd April 2019, 9.30am-12.30pm at The Northfield Centre in Stafford. The 7 week course is delivered by Staffordshire Women’s Aid and is a female-only course building self-esteem. The Power to Change programme centres primarily on building self-esteem, confidence and self-determination. It focuses on general issues of self-worth, assertiveness and rights, and the difficulties many women face in feeling entitled to them. This programme will provide women with increased confidence, and help them to develop the skills needed to confront the challenges which often prevent them from taking up training and employment through encouraging positive aspirations. Please note – This programme is open to all women signed-up to Building Better Opportunities, you do not need to have experienced domestic violence or sexual abuse to attend. Click the green button below to book and a member of our team will be in touch to confirm your booking.